Barcelona believe they can seal the signing of Matthijs de Ligt within a month. The Catalans have been playing their cards and have launched their final offensive for the Ajax player after the Dutch side beat Real Madrid in the Champions League. Once they saw his determination to join them, they formalised their offer. Barca have offered around 60 million euros plus variables for the Dutchman and a five year contract on similar numbers to that which they gave his friend and team-mate Frenkie de Jong. It’s a long-term deal with a lot of objectives built in, with numbers that will increase during his time with the team. Sources close to the negotiation say the transfer is on track and the club are very optimistic, but nobody wants to assure anything until it’s signed. Barca tried to tie down De Ligt in November bu the player’s stance did not allow for easy negotiation. The Dutch defender didn’t know if he wanted to join, hoping for a starting role in a new team and Barca could not guarantee that. In that moment, the board put forward the example of Clement Lenglet, who recently signed and has become a regular for Ernesto Valverde. De Ligt will have to fight with Gerard Pique a a right-footed defender and Barca have calmed him down by saying he will be a key player int he present and future of the club. The deal went cold a little and Barca thought they had lost him just a few weeks ago. 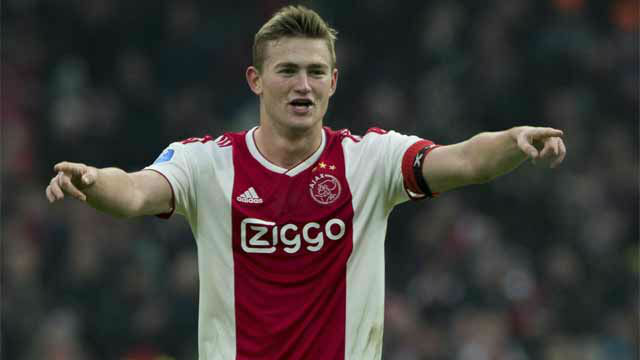 But after De Jong’s signing, De Ligt gave Barca some positive sensations and following the win over Madrid, he confirmed his total disposition to sign in the case of an economic agreement. Barca, with the information, moved for the player by making a bid. From the first moment they have been clear that they will not enter into a fight with other clubs. They are paying a little over the odds for a defender but he is a special footballer. De Ligt is wanted by Juventus, PSG and Bayern Munich. He must take a decision and he has chosen Barca for now, but there will be a final meeting to decide things. For now, the transfer looks promising.